Any breed of dog can be affected by hotspots and this uncomfortable skin condition can cause distress to your pet should they be affected. However, with the assistance of home remedies for hotspots on dogs you can quickly and effectively soothe, as well as heal your dog’s skin. What is a hotspot exactly? How to Prevent Hotspots from Happening! Hotspots are medically known as ‘pyotramatic or moist dermatitis’, and are a skin condition that will inflame and infect the skin of the affected area. In the end, no matter what has caused hotspots to appear on your dog, it is important to recognize the signs and symptoms in order to properly treat your dog. Overall, hotspots on dogs are easy to identify and even easier to treat. It is vital, however to seek treatment as soon as you notice signs or symptoms of hotspots on your dog. Hotspots can quickly turn from a small area to an area that spans several inches on the skin. Once you have noticed hotspots forming on your dog’s skin, you should start a treatment regime right away. 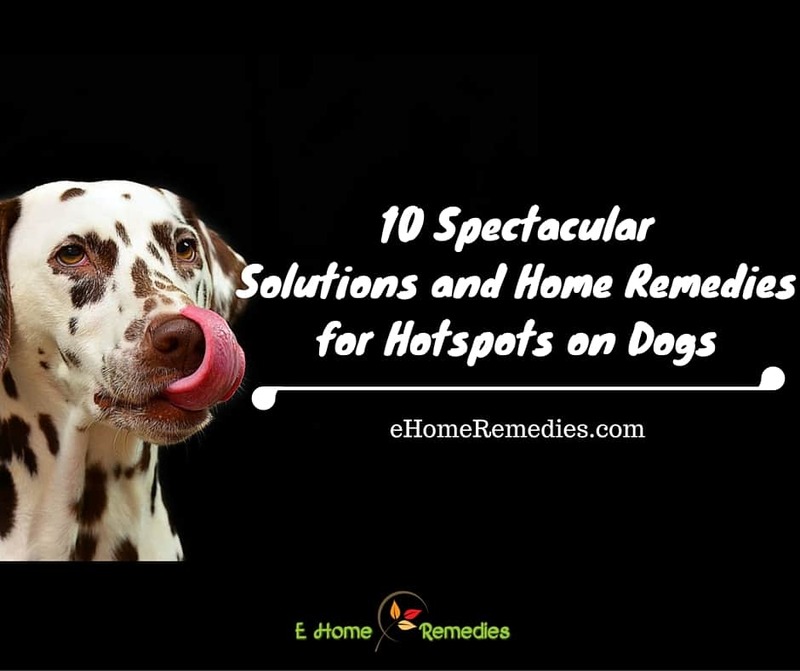 There are several home remedies that can show you how to treat hotspotson dogs. The great thing about these home remedies is the fact that they are gentle on the skin, yet they are powerful enough to fight the hotspot. Tea Tree Oil is a powerful agent when it comes to fighting a plethora of skin conditions. The naturally occurring anti-bacterial, anti-viral, anti-microbial, and anti-itch properties found in the tea tree leaves help soothe and heal any affected skin. Tea tree oil is highly effective for healing any external skin conditions. It is important to remember that tea tree oil should not be consumed internally. If your pet is affected by hotspots and you wish to use this treatment, you should only use it in areas where your pet cannot lick or bite the area. 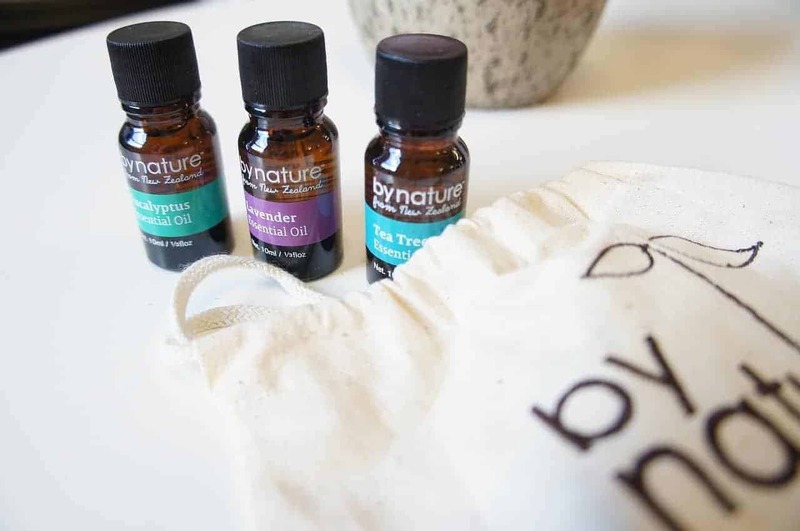 Fill the dropper with several drops of the tea tree oil. Use the dropper to directly apply the tea tree oil to the hotspots. Cover the area with several drops of the tea tree oil and use the cotton ball to gently rub the tea tree oil into the skin. Let dry and repeat this treatment two times per day until the hotspots are no longer visible. Lavender oil is a gentle skin soother that will bring instant relief to your dog. Lavender oil can offer moisture to the skin while at the same time acting as a natural astringent that will cleanse the affected area. 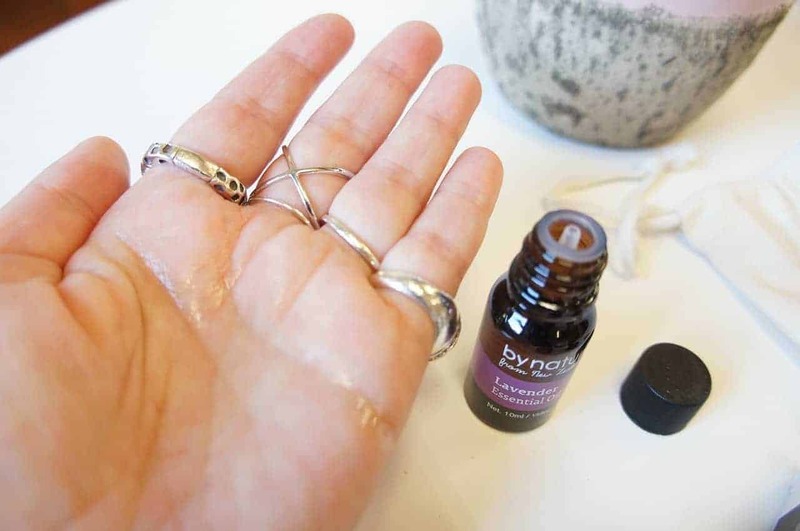 In addition to the gentleness associated with lavender oil, this remedy is completely safe to use on any area of the body, regardless if the dog is licking the area or not. The lavender oil will also provide your dog with a pleasant scent that will initiate a calming sensation when it is inhaled. Add the drops of lavender oil to the cotton ball. Gently massage the cotton ball directly on the hotspot. Leave the lavender oil to absorb into the skin. Repeat two to three times each day until the hotspots are healed. Black tea bags are one of the most commonly used herbal remedies due to the ease of use and effectiveness. Black tea bags are highly effective in combating hotspots due to the tannic acids present in the black tea. Tannic acids will dry out the infected area and promote a gentle healing of the skin. Steep one of the black tea bags for three to four minutes in the warm water. Remove the tea bag from the warm water only after it has cooled and place directly onto the hotspot. 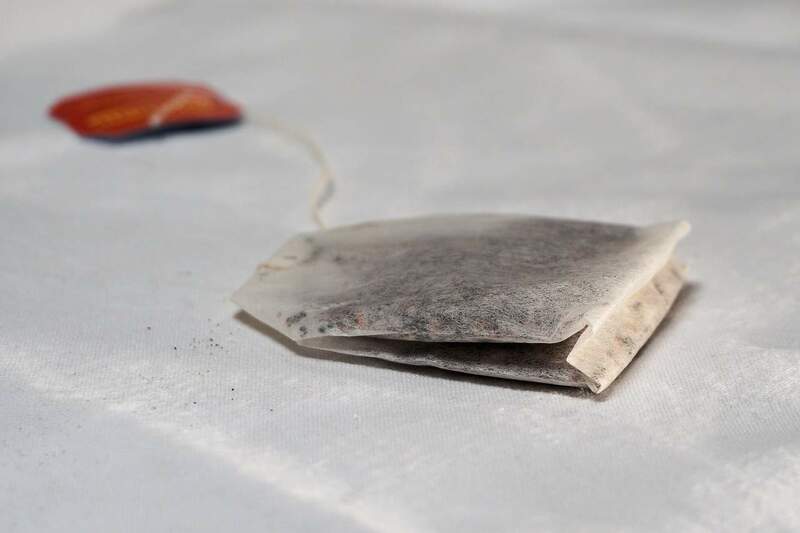 Let the tea bag remain on the hotspot for five minutes. Repeat this treatment five to six times per day until the hotspots have cleared. 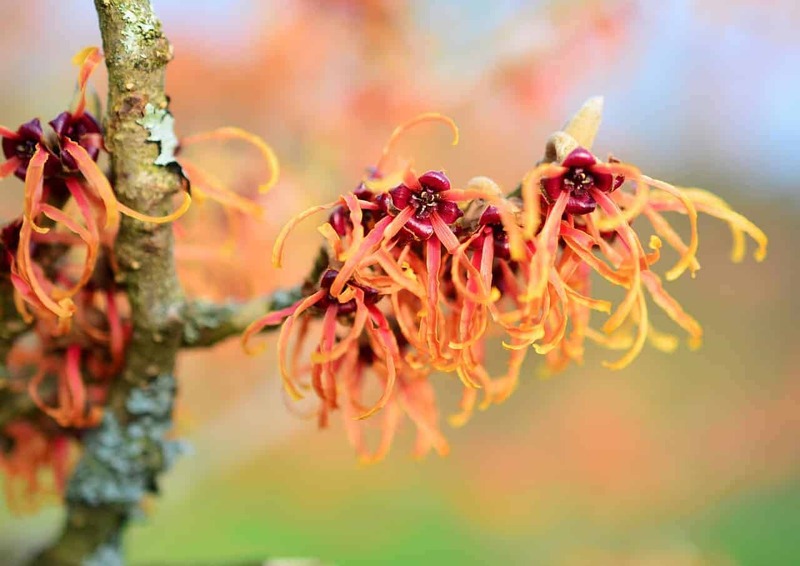 Witch Hazel is a natural astringent that is full of skin healing agents. Witch hazel is gentle enough to soothe any irritated skin, yet it is powerful enough to assist in the healing of a hotspot. Witch Hazel can be used to cleanse the area before using another home remedy or it can be used on its own. Either way, Witch Hazel is an excellent home remedy for hotspots. Add the Witch Hazel to the cotton ball. Gently massage the cotton ball on the hotspot. Leave the Witch Hazel to absorb into the skin. Repeat 2-3 times per day until the hotspots are no longer present. Many times, hotspots are caused and further irritated from constant licking or biting in the same area. An easy and highly effective solution is simply applying an Elizabethan collar to your dog. The collar will prevent your dog from reaching (and therefore not licking or biting) the affected area. This will allow the hotspots to heal faster as they will not be further irritated by the constant contact. Have your dog sit or lay down to place the Elizabethan collar on them. Attach the Elizabethan collar to the dog’s actual collar. 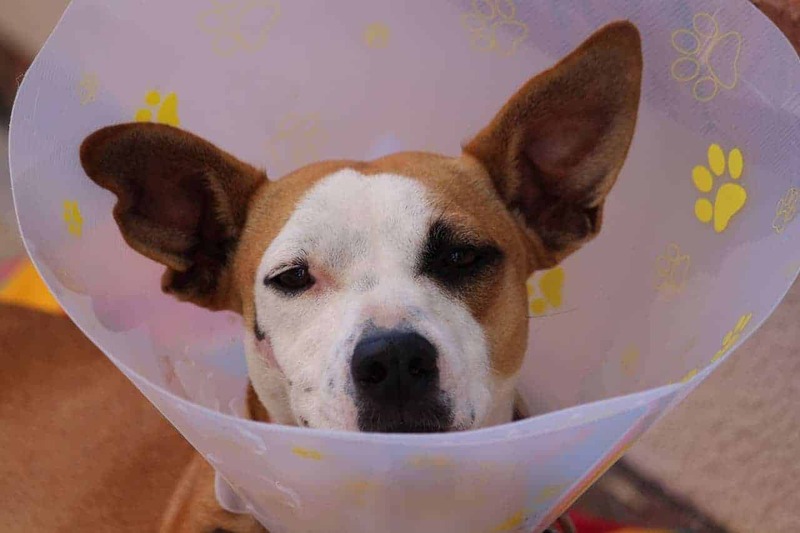 Make sure the Elizabethan collar is secured in place as well as ensuring that the dog cannot reach outside the boundaries of the Elizabethan collar. (If your dog can reach outside the boundaries made by the Elizabethan collar, you will need a larger size). Leave the Elizabethan collar on your dog for several days or until the hotspots are cleared. Dogs that have long, thick coats are more susceptible to developing hotspots. Although it is more commonly seen in dogs with more fur, any dog can have hotspots. When you notice a hotspot forming on your dog, it is important to give the hotspot access to air. Letting the hotspot ‘breathe’ will allow the skin to dry out which in turn will help the skin heal faster. 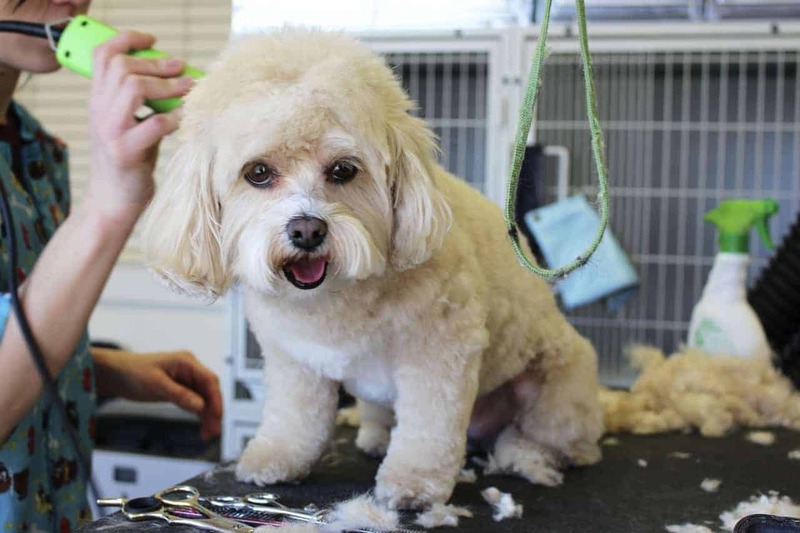 If you do not want to give your dog a full trim, at least remove or shorten the hair around the hotspot areas. Giving your dog a haircut, especially on a regular basis, will also help to prevent hotspots from forming in the first place. Gently remove the hair surrounding the hotspot by trimming the hair as short as possible. Make sure you do not cut the skin while you are trimming the fur. Keep the hair trimmed short while your dog is affected by hotspots. 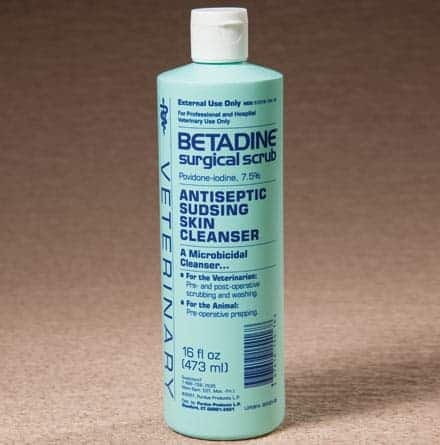 Betadine is a strong and fast acting anti-septic that will cleanse the hotspot as well as promote healing of the skin. It is important to keep any areas affected by hotspots clean so the infection will heal faster and to keep the area free from irritation. Depending on the sensitivity of the hotspot on your dog, directly applying Betadine can be slightly painful for them. If your dog does not have a high pain tolerance or if they are suffering from severe hotspots, it is best to dilute this disinfectant before you apply it to the hotspot. Directly apply three to four drops of slightly diluted Betadine to the hotspot. Gently massage the hotspot with the cotton ball to allow the Betadine to absorb into the skin. Repeat this process two times per day, depending on the size and severity of the hotspot. Continue this treatment until the hotspots have disappeared. 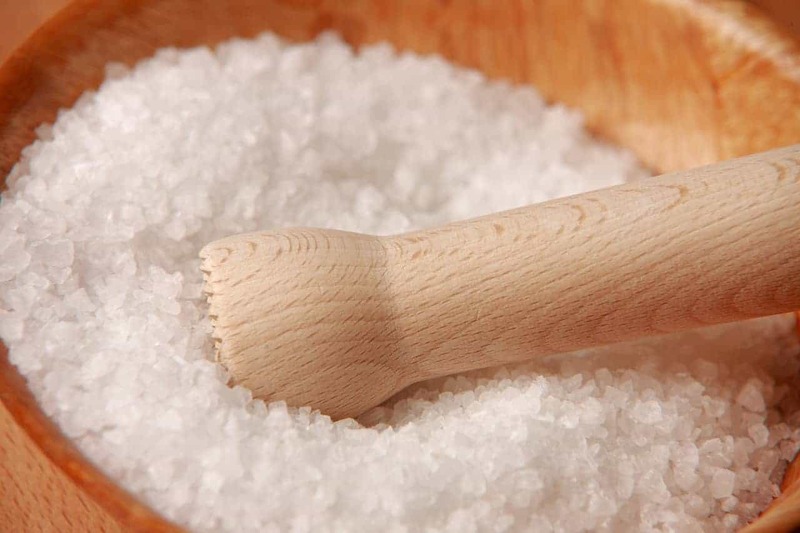 Salt water solutions are a great way to cleanse the skin gently while allowing the skin to heal. A simple mixture of salt and warm water is enough to keep your dog’s hotspots clean which will promote further healing and reduce irritation. Combine the salt and the water in the small bowl and gently stir. Let the mixture cool slightly before applying it to the hotspots. Directly apply the salt water solution the hotspots and use a cotton ball to gently massage the solution over the affected area. Repeat two to three times per day to keep the area clean. It is no secret that baby shampoos provide a gentle cleansing affect. The mildness of the baby shampoo will soothe the irritated skin and prevent further scratching and damage to the area. Squeeze a small amount of the baby shampoo directly onto the hotspots. Use the cotton ball to gently massage the shampoo into the skin. Leave the baby shampoo on the hotspot to fully absorb into the skin. Apply baby shampoo up to twice daily until the hotspots have healed. 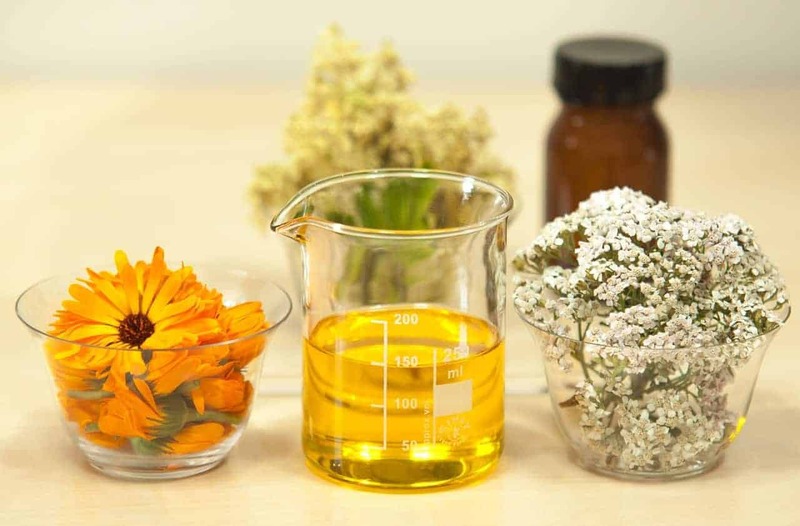 Calendula oil is a very powerful agent for nearly every type of skin condition, including hotspots. Calendula plants contain high amounts of flavonoids which are fast acting for healing the skin and providing anti-inflammatory action to any affected area. Calendula oil helps heal skin conditions faster due to the soothing properties and anti-bacterial agents found in the plant. In fact, according to a study performed by the National College of Naturopathic Medicine, calendula plants and oils have shown to be antibacterial, antifungal, anti-inflammatory, and antiviral, all of which assist in eliminating germs and healing the skin. Calendula stimulates white blood cells to destroy harmful microbes. They also found that calendula tincture to be as effective as bleach in killing germs. Directly apply three to five drops of Calendula oil to the hotspots. Gently massage the area with the cotton ball to ensure the Calendula oil will fully absorb into the skin. Leave the Calendula oil to dry on the skin. Repeat two to three times per day until the hotspots have fully healed. Shampooing and grooming your dog regularly. Keep your pet as stress free as possible. Keep your pet engaged and interacted to prevent boredom. Seek treatment or advice for any allergy symptoms you may notice and try to find the cause. In the end, hotspots are a common skin condition amongst all breeds of dogs. If you find that your dog has suddenly become stricken with hotspots, you can ease their irritation and heal their skin with the help of these home remedies.